Marine life and ecosystems hidden under the water can look magnificent. However, all those oceanic features and landscapes can now be seen with a high-quality camera. The mantis shrimp-inspired camera reveals polarization patterns under the water, and thanks to these features, the use of this bio-inspired camera could result in underwater navigation being vastly improved. The mantis shrimp-inspired camera consists of a variety of components, including a polarization imager called the Mantis cam and, like the name suggests, the design was inspired after the mantis shrimp. The camera functions in a way that uses refracted light that is created when it passes through the surface of the water and reflects and bounces off water molecules. The mantis shrimp is known for having 16 color receptors while humans only have three. However, mantis shrimp, unlike humans, find it quite challenging to make the difference between those colors. Nevertheless, shrimp mantis can detect other characteristics of light which humans can’t recognize or see, and that is polarization. This ability allows them to see up to six types of polarization. Furthermore, they are the only known creature that is capable of recognizing circularly polarized light. Researchers compare this property to wearing sunglasses with six different polarizations. 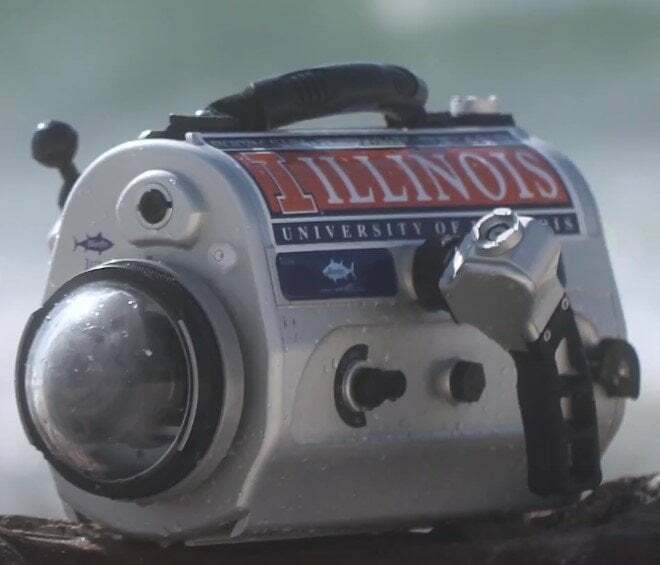 This discovery and property inspired Viktor Gruev, an engineer at the University of Illinois Urbana-Champaign, and his team to create a mantis shrimp-inspired camera that would sport miniaturized polarized lenses that could be improved to improve underwater navigation. The team have tested the device already. They have used it to collect underwater polarization data around the globe. The tests they conducted helped the team figure out that the polarization patterns of the water change on a constant basis. That allowed them to realize that the polarization patterns are a result of the position of the sun, and relative to the position where they were making recordings underwater. They carefully observed and studied the polarization patterns under the water focusing on the exact time and date when they were taking their readings. They could also use this method to find an estimation of their location in the world. “We found that we can locate our position on the planet within an accuracy of 61 km,” Gruev in a statement. The results of the team’s invention and tests can be found in the journal Scientific Advances, published on April 4. The results showed that the shrimp mantis-inspired camera could be used for navigation under water. The device can help humans or robots to navigate underwater using visual properties from polarized light. The invention would also serve well when searching for crashed aircraft lost at sea, or even to create a detailed map of the seafloor. “The rich repertoire of underwater polarization patterns — a consequence of light’s air-to-water transmission and in-water scattering — can be exploited both as a compass and for geolocalization purposes,” the researchers wrote in their study.